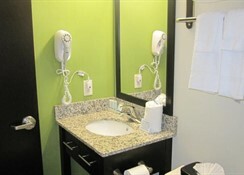 Located in Jamaica, the Sleep Inn is just outside New York’s JFK International Airport. 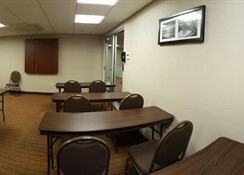 The hotel provides guests with a comfortable base from which to explore Manhattan’s surrounding attractions including the Flushing Meadows Corona Park which is home to the US Open Tennis Tournament, the Resorts World Casino and Aqueduct Racetrack. Manhattan is accessible through public transport and here can enjoy many of the famous attractions New York City is so well known for. 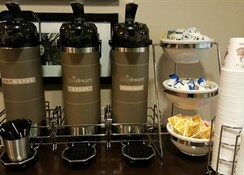 The Sleep Inn is made up 66 guestrooms spread over four floors, all offering a vibrant interior and a comfortable accommodation. Rooms are equipped with air conditioning, direct dial phone, microwave and fridge, iron and ironing board, a MP3 docking station and a flat screen television with premium channels as well as a private bathroom with shower and tub combi, hairdryer and toiletries. 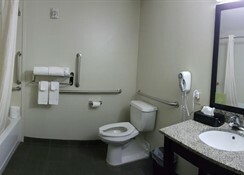 Wi-Fi runs throughout the building and certain amenities may be payable locally. A daily breakfast is served from 06.00 and 10.00. in the surrounding area guests will find a number of dining and drinking options, offering a variety of international cuisines. 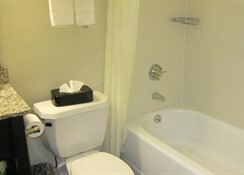 The hotel is located just outside Queens, Brooklyn in Jamaica and is surrounded by many attractions. Manhattan is within easy reach where guests will find iconic attractions including the Empire State Building, Times Square and Central Park. 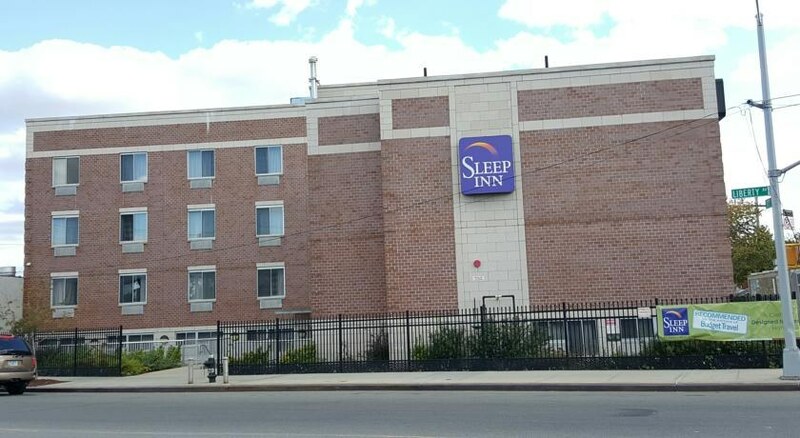 The Sleep Inn is a great choice for couples, families and small groups looking for a comfortable base from which to explore Manhattan and its many surroundings.